But as I was doing some art (I like having the TV on as background noise), I had America’s Next Top Model (antm) on and I was shocked when I thought I saw Elizaveta on the show. It turns out that the girl who I thought was an older version of Elizaveta was actually Britanni Kline, winner of Cycle 16 of ANTM. 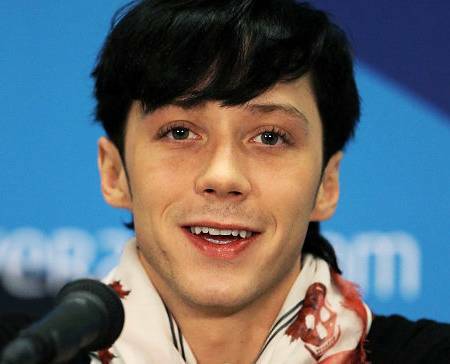 In the show, Brittani’s hair is dyed black like Elizaveta’s, which makes the resemblance more striking. Maybe if we wait a few more years, they would look even more alike? In any case, does this mean that Elizaveta has a modelesque face? Opinions? Tessa and Scott did this adorable interview which was posted on youtube. (Just like everything else these days.) It’s funny how I can take all of the things they mention for granted… until I see all of the confused comments from non-Canadian fans on the Tessa and Scott fan group of facebook. “Eh” and “aboot”… I actually have not heard that many people say “eh” and I have NEVER heard anyone say “aboot” unless it was for a joke. As for me, I rarely say “eh” but I did go through a “ne” phase (which I can be used sort of interchangeably with “eh”) after learning Japanese. 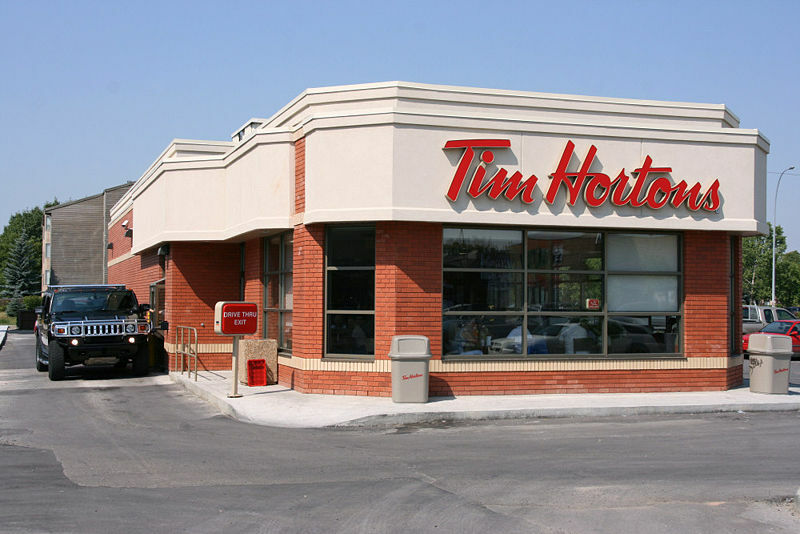 Oh yes, and let’s not forget Tim Hortons, which was bought back from the Americans. 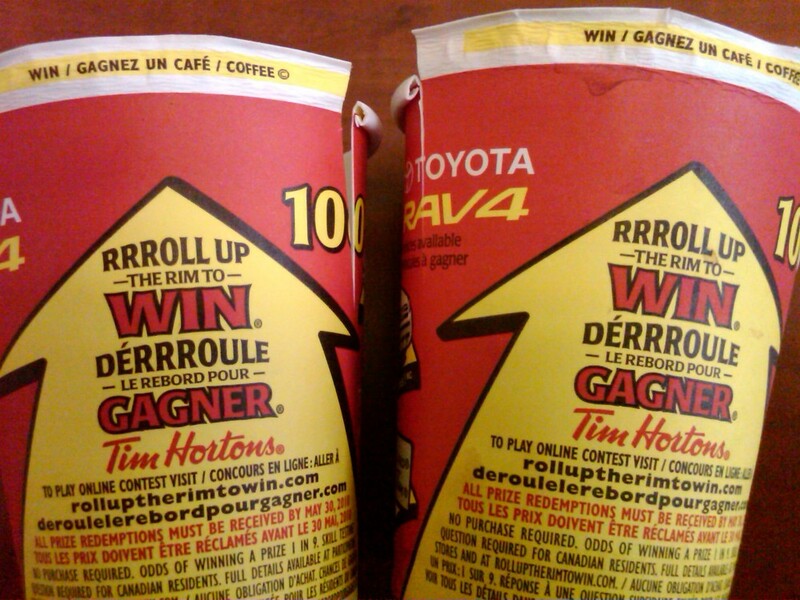 Roll up the rim to win. 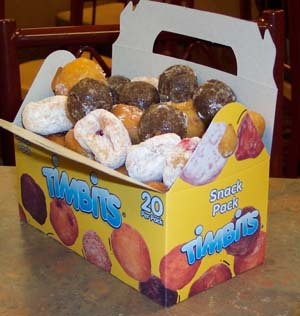 It’s a Tim Hortons contest that happens every year in February and/or March (those months have been a haze for the last few years so I apologize for not being more specific). You buy any hot beverage in any size other than small and you roll up the rim. You either get a message saying something like, “You’ve won a ________________ (free drink, doughnut, gift card, barbecue, TV, car, ect;)” or, what I usually get, “Sorry, please play again.” You don’t quite understand how popular this is unless you live in Canada. I abandon the use of my travel mug to play roll up the rim. (I know, I’m sorry.) MacDonalds gives out free coffee so Timmy’s doesn’t take all the customers. Starbucks usually makes some sort of drink half off as well. Timmy’s cups litter the streets (unfortunately) and the long lineups at Timmy’s (sometimes, even on non-roll up the rim months, I go to the pricier coffee places because the lineups at Timmy’s go out the door) become even longer… It’s bloody insane! 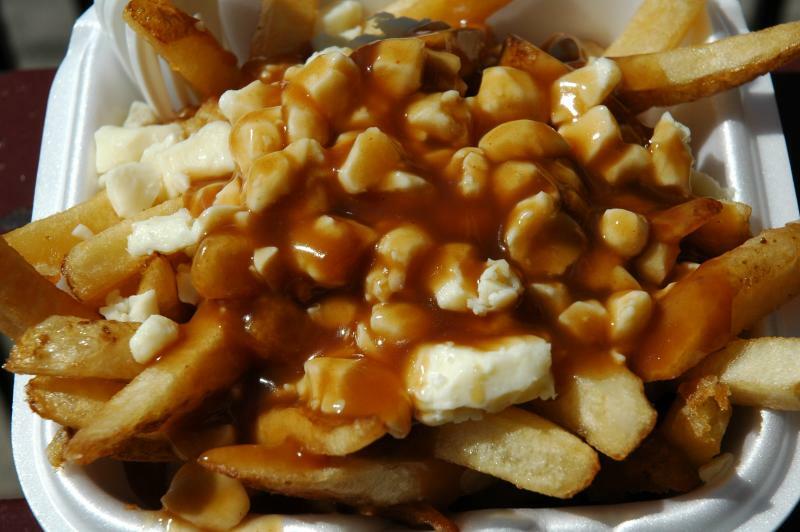 One more thing you need to know about Canada/Timmy’s. I promise to write something about the men’s competition at Worlds soon, I’ve just been busy for the past few days. However, it is Tessa Virtue’s birthday today so I decided to dedicate a post to one of my favourite figure skaters. It’s not absolutely fabulous but it’s nice to be drawing again. 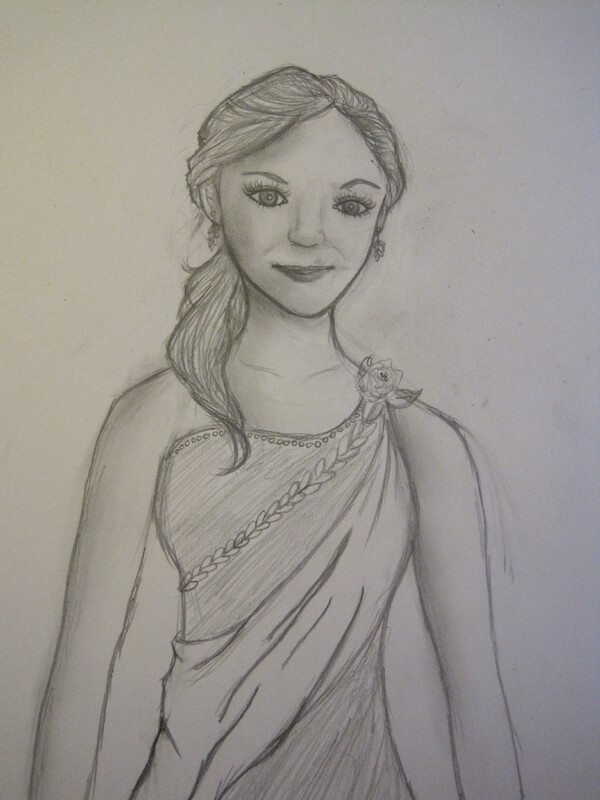 (It kind of looks like a weird combination of Tessa and Meryl… O_o) The dress was sort of improvised. Maybe an idea for a future costume? So if you’re in need of one, don’t give up hope. The post on the men’s competition is a-comin’ but for now, let’s just take a look at this little gem: a clean long program… by Sasha Cohen. *gasp* Yes, the competition wasn’t really one of the most important but hey, at this point, we’ll take anything. Are there any other programs you consider to be a total miracle? Tell me below in the comments! I apologize again for the delay in coverage, my life has been a whirlwind for the past week but I promise to write something about the other disciplines and their outcomes at the World championships. I’ll do the men’s competition last because I need to brace myself… I may need to vomit at Chan’s scores, although I wouldn’t be surprised if he was somewhat deserving of them. Somewhat is the key word there. Let’s begin this discussion with the short program. Tatiana and Max were one of the first to skate and they began their international competitive career with a bang. They skated cleanly and at the end of the day, was 3rd after the SP. If they had begun their career a little earlier, I wouldn’t be surprised if they pushed upwards to 1st or 2nd, especially with Mother Russia hosting the event. Aliona and Robin made a small mistake in the SP (they weren’t synchronized in one set of the combination spin) and ended up in 2nd. A bit surprising to me since I thought that their superior skating skills and transitions (and that GIANT throw triple flip) would have carried them above Pang and Tong. Looking at the protocol, I’m a bit confused as to what happened but I do think that they deserved a higher score than they got. Pang and Tong skated flawlessly. They were even synchronized in their spins – something the Chinese pairs always seem to screw up. I admit that I prefer the choreography and music of this SP (this has become my new favourite SP of the season) over the Germans but I can’t help but think that Aliona and Robin’s programs were a lot harder. Still, with the Zhangs and Shen & Zhao gone, I wouldn’t be surprised if the Chinese federation paid these two a lot of money to compete for another year. Besides, we still don’t know whether Sui Wenjing is 13 (or somewhere below 15) or not. Also, this result also marks the fact that Kavaguti/Smirnov are official dumped dumped dumped. And even the legendary Moscovina can’t help them anymore. They also abandoned the meat costumes for this competition. In the LP, things shifted a little bit. Aliona and Robin skated perfectly. They were flirty, sneaky and actually a lot of fun to watch. I didn’t like this program at the beginning of the season but they’ve really grown into it and learned how to sell it. The Russian crowd was totally into it! Tatiana and Max skated a great long, with only one mistake – a step out from Max on a triple salchow. However, I must say, that triple twist in the program – best triple twist EVER. It looked so completely and utterly effortless. Still, their scores were not that much lower than Aliona and Robin’s, which was a bit surprising. I would have liked to see the margin between them to a little bit bigger. I blame the hometown advantage, although that is not to say that Tanya and Max aren’t good. They’re going to be a force to be reckoned with next season. As expected, Pang and Tong made a lot of mistakes during their LP, as they have done all season. Tong singled their first triple axel and put his hand down and their second sbs jump was only a double toe. Not something you would expect from last year’s World champions. These two are starting to unravel and I’ve got the feeling that they just want to retire and get on with life. Then again, they rallied after the disastrous beginning and finished beautifully. This skate was the first time I realized that this program was choreographed pretty well to the music. Especially with that throw triple loop near the end. All in all, Volosozhar and Trankov made this competition a lot more exciting than it would have been. I wish the young team of Iliushechkina and Maisuradze were at there to make a splash. Not to mention they might be more beneficial to Mother Russia in the long run. Vera Bazarova and Yuri Larionov seem like a decent pairs team – they have lovely lines and a graceful elegance – at the moment but Vera’s jumps are barely getting off the ice and she looks as if she still has some growing to do and goodness knows what they will do to her jumps. I also wish that my little Chinese team could have been there but Sui might be underage. Still, they’re fun to watch. That’s pretty much it with what I have to say about pairs. The world should really watch out for Volosozhar/Trankov because with the Olympics in Sochi, you never know what they could achieve. I know that I have readers from a lot of different countries and if all my Canadian readers haven’t completely forsaken me for complaining about Patrick Chan’s victories, I’d like to take this moment to remind all Canadians to vote tomorrow. I think this rant from Rick Mercer can be extended to voters of all ages. Remember, people died on beaches so that you can vote. People have died just for the right to vote. Sure, the Canadian democratic system can be flawed but this is your way to initiate change and voice your opinions and be part of the government. Who you vote for is your business but please vote. So as I said yesterday, there was another dethronement at Worlds this year, this time a bit more expected. In ice dance, Meryl Davis and Charlie White made history as the first American team to win the ice dance event. Although PJ Kwong has been going on about how missing an entire season only hurts teams not because they haven’t showcased their programs for critique but because they won’t gain as much maturity and experience (and Tessa and Scott are apparently immune to that because they have plenty of both). With that being said, I would care to (strongly) disagree with Kwong. Tessa and Scott led by a small margin in the SD purely by their skating skills (they were held up by the TES). Before the World championships even started, I said that Tessa and Scott could win IF they skated cleanly and their program was more spectacular than Meryl and Charlie’s sexless tango. As much as I love Tessa and Scott (and Marina and Igor), I must say that this FD has the worst choreography I’ve ever seen them skate. The beginning that we saw at 4CC was exciting and the first set of twizzles were really innovative but it just went downhill after that. 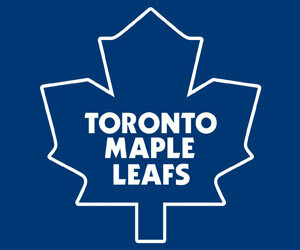 I have never seen a program so lacking and empty from a World champion team. The entire middle section of the routine did not showcase their skating skills and was simply one lift and some stroking to get the speed and momentum for the second lift. The lifts may have gotten the crowd going but it was not the way to display their speed, power, ability to execute complex choreography and skating skills. The choreography was disjointed and full of posing. I’m glad that the SD next year is the rhumba so they can’t use this program again. In any case, the point is, if they had the time to showcase this program throughout the season, they could’ve gotten the critique just as Meryl and Charlie did to modify the program for the better. 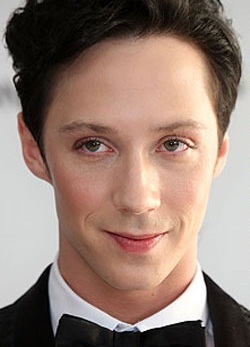 Since Tessa was injured, that was impossible and I feel that silver was the best that they can get and I do agree with their placement after Meryl and Charlie, even despite my love for T&S. So congrats to Meryl and Charlie for their well-deserved gold medal! And congrats to Tessa and Scott for beating their own world record in the SD! In any case, the first honourable mention goes to Alex and Maia Shibutani who took advantage of Nathalie and Fabian’s fall and snatched the bronze – a fantastic debut at the senior level (I mean, Tessa and Scott were 6th at their first senior Worlds!). These two have such elegance and maturity – to think that everyone was worried about Maia’s height a year ago! Their win also meant… a team Canton podium sweep! The reign of Queen Marina and King Igor is alive and thriving! The second honourable mention goes to Kaitlyn Weaver and Andrew Poje who have grown leaps and bounds. Their SD was the best of the season, hands down. The honourable mention is given because they’ve beaten their Canadian archrivals, Crone and Poirier. I hope Skate Canada takes this result into consideration going into next season. Weaver and Poje are clearly more expressive and fun to watch and they’ve been improving technically with each competition. So my point to drive home to Skate Canada: Kaitlyn and Andrew have star quality, Crone and Poirier do not. I mean, just look at this! What did you think of the results at Worlds? Posts on the men and pairs competition coming soon!